If you haven’t studied law, or if you don’t know how the judicial system works, it can seem difficult to maneuver through and complex. After all, legal terminology is difficult enough for most people to understand, so it’s completely normal to feel overwhelmed when trying to figure out how the system is actually structured. Luckily, any professional lawyer knows this system just like, or even better, than they know the back of their hand. We thought we would explain the system to you, and all of its level to give you an idea of what we work with and through in order to provide you with the best quality legal representation. At the lowest level of the state’s judicial system are 94 district courts, as well as the United States Tax Court. Without getting into too much detail (because we could write about this for days), we will continue on. These courts deal with law suits filed in their specific districts and cities, and the vast majority of them are settled within the district court and are not taken any further. The court of appeals has 12 distinct circuits, where one of the 12 can review cases that were decided in district level courts. However, to have a case reviewed by the Court of Appeals, a party on either side of a case, winner or loser, can appeal to have their case reviewed. The person who calls for this review is called an appellant, and they must show that some legal error had been made during the initial case. If the Court of Appeals is sent back to the original trial court, then it must be reinstated and reopened for decision. If it isn’t sent back, the decision is considered final. If the appellant loses their case in appeals court, they can petition for a writ of certiorari, which is the official request for the case to be taken up to the Supreme Court. 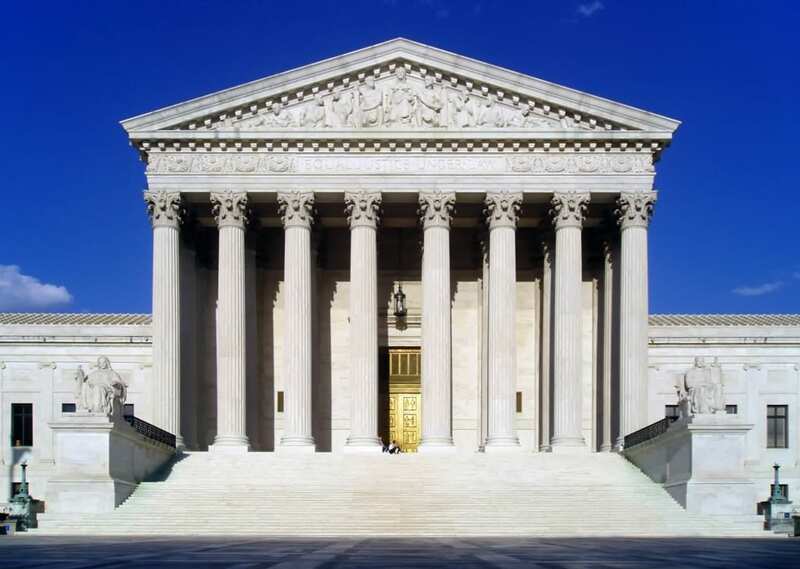 The Supreme Court is the last judicial leg in the system, and serves as the final word in resolving any legal matters. Even though they receive thousands of cases each year, they only end up hearing 100-150 per year due to the time they put into reviewing each case. There are only 9 Supreme Court justices in the country, so that there is never an even outcome during a vote.